"Call Him Mac" Reception and Book Signing. You've probably heard of Ernest McFarland, the U.S. senator, Senate majority leader, Arizona governor, chief justice of the Arizona Supreme Court, founder of KTVK and father of the GI Bill. (Historian Marshall Trimble once suggested that if Arizona had a Mount Rushmore, it would be Carl Hayden, Ernest McFarland, Barry Goldwater and John McCain.) But you might not know much about his life as a husband, father and friend to people like FDR, Harry Truman and Winston Churchill. 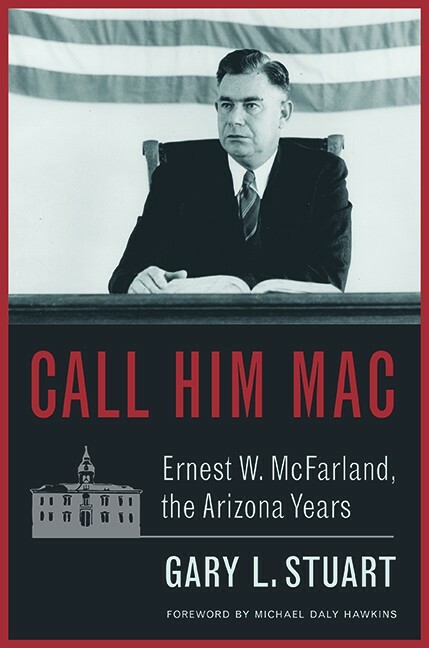 Call Him Mac: Ernest W. McFarland, The Arizona Years, a new book by law professor and historian Gary L. Stuart, published by the UA Press, delves into all of this. Meet the author, pick up a copy and get it signed at this event. 6 to 7:30 p.m. Tuesday, Jan. 29. Arizona Main Library special collections room, 1510 E. University Blvd. Free. Climate and the Deep Blue Sea. The UA College of Science lecture series started a few weeks ago, with a theme of "Searching for Certainty" and a totally impressive, totally kickass lineup of speakers (all of whom happen to be women). 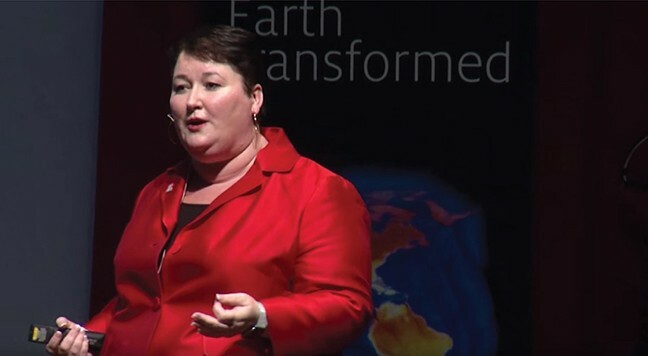 This week, geosciences professor Joellen Russell will talk about her work using floating robots and sensors in transforming the way we measure climate change. She'll also look to the future, and talk about how the next generation of floating robots will measure carbon, nutrients and chlorophyll and have concert impacts like allowing us to verify new international carbon agreements. 7 p.m. Tuesday, Jan. 29. Centennial Hall, 1020 E. University Blvd. (free parking in the Tyndall Ave. Garage). Free. Four Shillings Short. Four Shillings Short is a pair of full-time troubadours/folk musicians/artists who have been touring the U.S. and Ireland for more than two decades. Aodh Og O'Tuama plays tinwhistles, Medieval and Renaissance woodwinds, recorders, the Doumbek, the bowed Psaltery and spoons. Plus, he sings in English, Gaelic and French. Christy Martin started studying the North Indian Sitar when she was 15, then added instruments like the hammered dulcimer, the mandolin, the mandola, the bouzouki, the banjo, the guitar, the bodhran, the charango, the bowed psaltery and the ukulele. And she sings in English, Irish and Sanskrit. With a range like that, they're bound to make at least one sound you'll enjoy. 7 to 9 p.m. Saturday, Jan. 26. Solar Culture Gallery's Galactic Room, 31 E. Toole Ave. $10 to $15 donation. Brews & Books. Books have a way of making your heart and brain feel full, while beer has a way of making your stomach feel full. So if you're looking to feel fulfilled every which way, a book club hosted by a brewery isn't something you should miss out on. Head over to 1912 Brewing to discuss this month's book, The Mermaid Chair, by Sue Monk Kidd, a story that involves an ailing mother, a trip to an island and a handsome monk—exactly the type of elements that made it a perfect fit to be adapted into a Lifetime movie. While you discuss the book, enjoy beer, mead, wine and whatever food you'd like to bring, because this is a potluck! 5 to 8 p.m. Thursday, Jan. 31. 1912 Brewing Company, 2045 N. Forbes Blvd. Free. Reading with Natalia Treviño and Leticia Del Toro. Kore Press hosts this appearance by two visiting fiction writers that will leave writers, aspiring writers, lovers of literature and most humans feeling inspired. Treviño, in from Texas, is the author of Lavando La Dirty Laundry and the new chapbook VirginX. She's also a professor at Northwest Vista College in San Antonio. Del Toro, in from California, is a writer, arts activist and teacher who has received honors including the Kore Press Short Fiction Award and a VONA Voices fellowship. She's completed a short story collection and is at work on a novel. 6 to 8 p.m. Saturday, Jan. 26. Kore Press, 325 W. Second St., room 201. Suggested donation of $5, no one turned away for lack of funds. Poet's Corner. 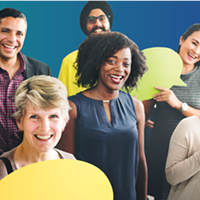 If you consider devices like rhyming and alliteration friends, this event at the Joyner-Green Valley Library might be one you want to attend. Whether you just wrote your first poem of you've been writing for years, sharing your work with other poets is a great way to get over your fears. Or maybe you like hearing and reading, but writing poetry's not for you: Don't worry, this even has room for your kind too. For anyone who appreciates the art you can make with words, head down today, because missing this would just be plain absurd. 3 to 5 p.m. Thursday, Jan. 24. Joyner-Green Valley Library, 601 N. La Cañada Drive. Free. Kristen E. Nelson and Elizabeth Frankie Rollins. Head on over to Antigone to watch these two show off their literary chops! Nelson, a queer writer, performer, literary activist and author of the length of this gap and two chapbooks, will share her poetry. Rollins, who has published in Feminist Wire, Fairy Tale Review, Sonora Review and Conjunctions, is the author of The Sin Eater & Other Stories and a collection of short fiction, a PCC professor and the resident of a pink house. She'll be sharing some of her work as well. Don't miss a chance to treat yourself to some of the loveliest literature in town, and support some of our local lit superstars. 7 to 8:30 p.m. Friday, Jan. 25. Antigone Books, 411 N. Fourth Ave. Free. Super Gay Party Machine. 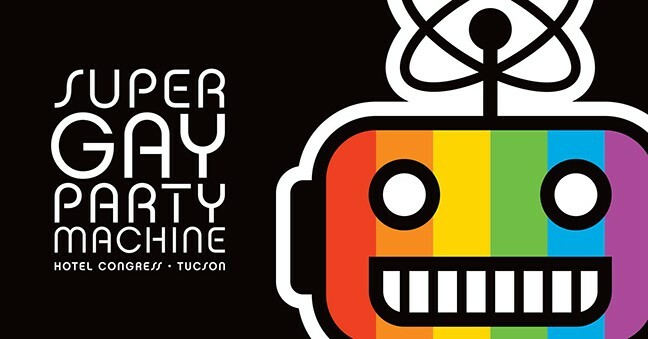 It's the moment at least some of you have been waiting for: Tucson's premiere LGBTQA dance party and show is here! Tempest DuJour hosts, DJ Shorty keeps the tunes going and you'll get special performances by Häus of K and special guest Z. Throw in some go-go dancers, lots of drink specials and even more dancing on your part and you've got the perfect recipe for a Friday night—just add water ('cause, you know, it's always good to stay hydrated during a night out). 8 p.m. to 2 a.m. Friday, Jan. 25. Club Congress, 311 E. Congress St. $5, 21+. Richard Avedon: Relationships. It can get a little overwhelming to think about how many relationships you're a part of and surrounded by—there's the way you relate to your family, your friends, your lovers, the checkout clerk at the grocery store, your landlord, your coworkers, your neighbors, the other parents in your daughter's dance class, and the way all of those people relate to each other. In this collection of 80 portrait and fashion photographs taken between the 1950s and the early 2000s, Richard Avedon explores three kinds of relationships: those between the figures in his photographs, those between himself and his subjects, and the relationship between Avedon and the UA's Center for Creative Photography, where this exhibit is on display. Come watch, reflect and enjoy! Exhibit runs through Saturday, May 11. Hours are 9 a.m. to 4 p.m. Tuesday through Friday and 1 to 4 p.m. on Saturdays. Center for Creative Photography Gallery, 1030 N. Olive Road. Free. Black Tulip Gala. If you're looking for a fancy evening out and a chance to support the local botanical gardens and a group of artists, look no further than the Tucson Botanical Gardens' Black Tulip Gala. It celebrates the opening of three nature-inspired exhibits: Living Bronze Sculptures, by Robert J. Wick; The Photographic Art of Kate Breakey, featuring hand-colored photos of black tulips and their growers; and Out of the Woods: Celebrating Trees in Public Gardens, a New York Botanic Gardens Triennial Exhibit featuring 42 works to celebrate trees. Living Vine Entertainment is performing and Gallery of Foods is catering. 5 to 8 p.m. Saturday, Jan. 26. Tucson Botanical Gardens, 2150 N. Alvernon Way. $225. Carlos Estévez: Entelechy–Works from 1992 to 2018. Carlos Estévez uses his art to explore the way human spirituality intersects with the human experience throughout all of time and history. So we're talking cosmological, metaphysical, transformational themes. In fact, "entelechy" is a philosophical concept about the transformation of an idea into reality. With everyday objects like encyclopedias, clocks and vials, combined with bold geometric patterns, delicate line art and lots and lots of symbolism, Estévez explores the process of becoming. You've enjoyed plenty of art on a visual level, but this work aims to transcend the visual and enter the realm of the mind. Saturday, Jan. 26 through Sunday, May 5. 10 a.m. to 5 p.m. Tuesday through Sunday, and 10 a.m. to 8 p.m. on the first Thursday of each month. 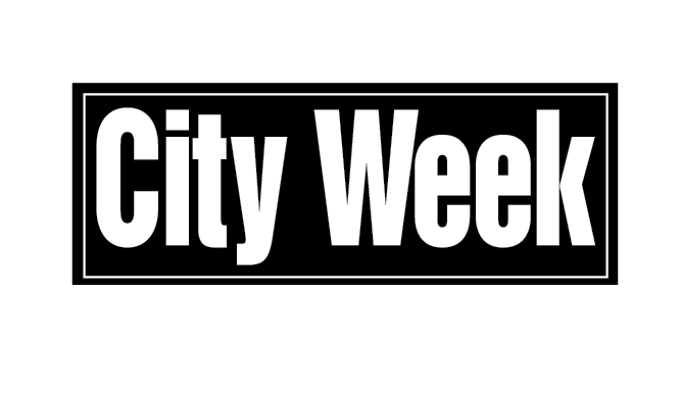 Tucson Museum of Art and Historic Block, 140 N. Main Ave. $12 adults, $10 seniors 65+, $7 college students and youth ages 13 to 17, free for kids 12 and under, veterans and museum members. Robert J. Wick: Earth, Life, Man. The Tucson Botanical Gardens knew that Robert J. Wick's sculptures, all of which carry living plants or trees, needed an exhibition at the gardens as soon as they heard him say, "Until you can grow a tree from your own heart, you'll never understand the oneness of all things." I mean, seriously, who just spews beautiful poetry like that? Or how about this? "The flora are not decorations, but are an integral part of the art defining its character by quality, shape and nature of the plants used... My works are a union of art, man and nature." These beauties will be on display throughout the gardens starting this Saturday, Jan. 26 and through the end of June. Garden hours are 8:30 a.m. to 4:30 p.m. every day, and 8:30 a.m. to 8 p.m. Thursday and Friday. Tucson Botanical Gardens, 2150 N. Alvernon Way. $15 adults, $13 students/seniors/military and $8 for kids 4 to 17. Free for members & kids 3 and under. Border Cowboys and Border Cowgirls. Jackson Boelts, an art professor at the UA, and Joseph Labate, who chaired the School of Art's Photography department for 19 years, collaborated on this project to tell the stories of the men and women working on the ranches of Southern Arizona. And they're doing it (thanks to a grant from the Confluencenter for Creative Inquiry) with some truly beautiful art. Boelts created a series of large, abstract watercolor paintings, and Labate captured the subjects in photographic portraits. The result is a series of images that are full of life and color, and worth far more than a thousand words. 11 a.m. Saturday, Jan. 26. Amerind Museum, 2100 N. Amerind Road, Dragoon, AZ. Admission is $10 adults, $9 seniors 62 and up, $8 college students, $7 youth 10 to 17 and free for kids under 10. American Indian Arts Exposition. 15 days. 10,000 years of culture. 80 tribal nations. An official event of the Tucson Gem Show, this collection of American Indian arts and crafts will feature demonstrations on basket weaving, Hopi crafts, beadwork, traditional Navajo jewelry and custom jewelry making and repair. They'll also have weekend tribal dancers at the poolside. Whether you're looking for jewelry, a buffalo skull, a handmade Navajo rug, a dream catcher, artisan pottery, a handmade flute or pretty much anything you can even dream of, you'll find it here. 10 a.m. to 5 p.m. Monday, Jan. 26 through Saturday, Feb. 9. 10 a.m. to 4 p.m. Sunday, Feb. 10. Quality Flamingo Ballroom, N. Stone Ave. Open to the public. Becoming A Goat, And Other Adventures in Science and Technology. Oh, artists. Always pushing boundaries, exploring new mediums, trying to share crucial messages in beautiful ways. For example, designer Thomas Thwaites recently embarked on a project to become a goat. Yeah. Just literally turn into a goat to take a break from being human. At this talk, he'll talk about the way he combines topics like economics, philosophy, science and history in projects like that goat one, and another one where he attempted to make an electric toaster from scratch. 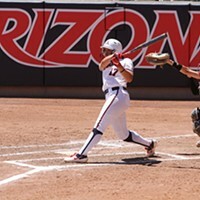 It's going to be Tucson-tastic. 5:30 to 7 p.m. Thursday, Jan. 24. Center for Creative Photography, 1030 N. Olive Road. Free. Family Adventure Hour at the Tucson Presidio. Folks at the Tucson Presidio Museum are big believers in hands-on learning. After all, what better way to help you get a grasp on the fact that historical figures were living, breathing people than by living out a little bit of history yourself? The Family Adventure Hour is geared for children ages 4 to 8, and features a tour of the archaic-era pit house, the Presidio barracks and original foundation wall, the millstone, and the mural. Then, an interactive activity will teach a lesson about Tucson's history and culture. And THEN, everyone gets to color. The kids will enjoy it so much, they won't even mind that it's educational. 10:30 a.m. Saturday, Jan. 26. Tucson Presidio Museum, 196 N. Court Ave. Cost included with admission, which is $5 for adults, $1 for kids 6 to 14 and free for kids 5 and under. Desert Hawking Classic. If you're like us, you haven't been to very many falconry meets. So you'll just have to take our word for it that it's one of the finest in the U.S. And just in case you are at all unclear on the definition of falconry, it's the art and sport of taking wild quarry with trained birds of prey. The sport first came to North America in the early 1900s, though it's been around for about 4,000 years. Nearly 100 falconers from several states are expected to bring various species of hawks, falcons and even Golden Eagles that have been trained to hunt everything from quail and ducks to eight-pound antelope jack rabbits. Check out the birds and ask falconers questions at two events. 10 a.m. to 3 p.m. Friday, Jan. 25 at Udall Park, 7200 E. Tanque Verde Road, Ramadas 8 and 9, and 1 to 3 p.m. Saturday, Jan. 26 at the north side of the Radisson Hotel, 6555 E. Speedway Blvd. St. Philip's Market. Did you know this market is one of the largest in the state? If you're looking to spend a Saturday morning and early afternoon browsing through and buying handcrafted local jewelry, pottery and art, this might be an event for you. And if items like handmade pasta, delicious baked goods and other food items from local vendors are on your grocery list, you can even get some of your grocery shopping done. And what better place to do it than on top of cobblestones and beneath the shade of Eucalyptus and Sycamore trees? 9 am. to 2 p.m. Saturday, Jan. 26. St. Philip's Plaza Farmers Market, 4280 N. Campbell Ave. Free. Tattoo Pop-Up Party. Want the look and feel of a permanent hand-poke tattoo without the risk of having your drunk friend do it? Try the clean, safe and calm environment of The Ninth House. This Saturday, you can get a tattoo from the custom flash sheet drawn for The Ninth House for just $40, or discuss a small custom design for just five extra bucks. The event is first-come, first-serve, so consider getting there early. And while you wait, you can get an astrology reading! Noon to 6 p.m. Saturday, Jan. 26. The Ninth House, 236 S. Scott Ave.
Roadrunners vs. Condors. 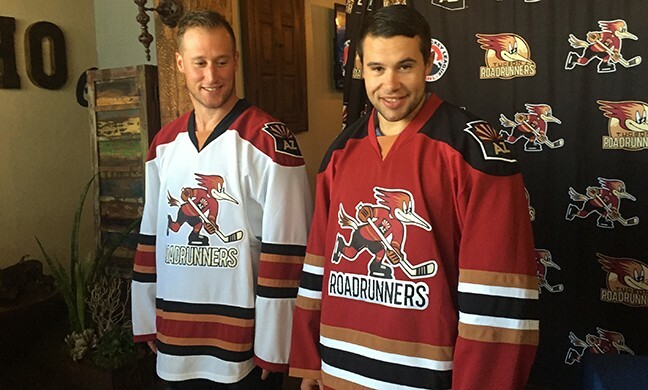 The Tucson Roadrunners face off against the Bakersfield Condors twice this week. And who would root for a big, ugly condor to win against a sweet lil' roadrunner? Friday night is college night, which means one ticket, two drinks and a hat for just $25, as well as Ladies Night, which features a pregame Chalk Talk and free drinks and snacks sponsored by Genesis OBGYN. Saturday is Superhero Night, where Cox Communications will be giving away Super Dusty Bobbleheads. So take your pick of what night you want to go, but don't be on the wrong side of history: Root for the Roadrunners all the way. 7:05 p.m. on Friday, Jan. 25 and 3:05 p.m. on Saturday, Jan. 26. 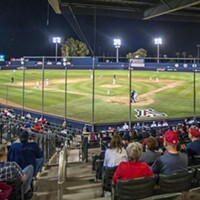 Tucson Arena, 260 S. Church Ave. $10 to $61. Morning at the Museum. It's the Desert Museum's first annual Coffee and Tea Event, with tastings from local coffee roasters and tea houses, sweet snacks, visits with animals and live music by Jacob Acosta. You'll also have access to exclusive coffee presentations (like how to taste your coffee like a nuanced professional) and morning cocktails like Bloody Marys, Mimosas and Irish coffees. Participating vendors include Batch Café & Bar, Cartel Coffee Lab, Yellow Brick Coffee and Pure Love Juice, just to name a few. Your ticket includes samples, a 12-ounce cup of coffee and a pastry, a commemorative coffee mug, all the activities and admission to the museum. 9 a.m. to noon. Saturday, Jan. 26. Arizona-Sonora Desert Museum, 2021 N. Kinney Road. $32 GA, $15 members, $8.95 kids 3 to 12.